April Fish of the Month Entry - Ogmore Ray! April Fish of the Month Entry - Burns Trout! April Fish of the Month Entry - Sparkler Trout! April Fish of the Month Entry - Bangour Beast! April Fish of the Month Entry - Young Springer! April Fish of the Month Entry - Cavan Pike! Loop Tube Doubles have a Successor! April Fish of the Month Entry - Tay Monster! April Fish of the Month Entry - Orchill Brownie! Limited Edition Hardy Bouglé Reel! Wychwood River and Stream Rods - Now in Stock! April Fish of the Month Entry - Cold Carp! April Fish of the Month Entry - First Salmon! April Fish of the Month Entry - Common Carp! Airflo Super Dri Fly Lines - Now in Stock! April Fish of the Month Entry - First Skate! April Fish of the Month Entry - Tay Springer! Has the Kamasan B175 met it's match? April Fish of the Month Entry - Springwater Rainbow! 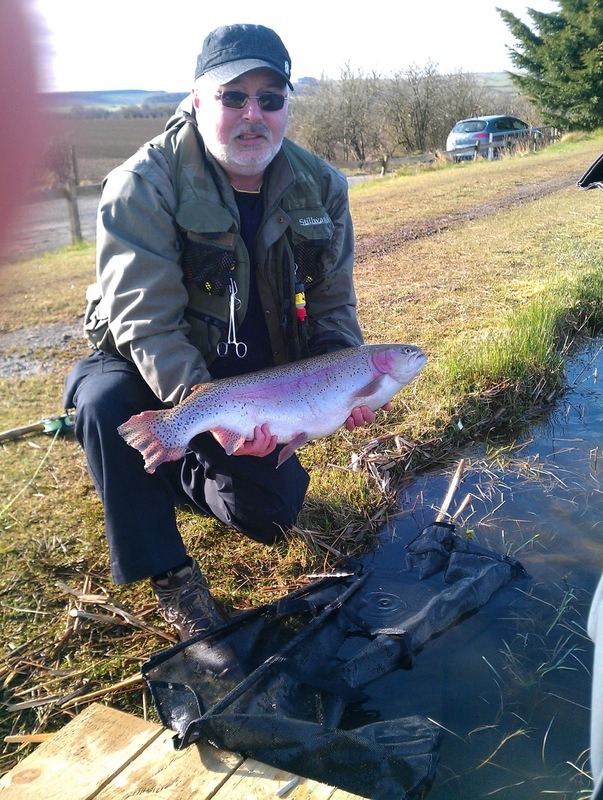 Jim Gordon with a nice big Rainbow Trout caught on an Olive Fritz at Springwater Trout Fishery, his first fish of the season! Jims first fish of 2013! You can vote for this picture to win on Facebook by selecting it in the April 2013 gallery HERE and hitting the 'Like' button!